7 Benefits of Rapid-Deployment Camera Systems for Natural Disasters - FTS Inc.
Part 2 of a 4-Part Series on Cameras. Read Part 1 here. In the middle of a natural disaster, minutes matter when it comes to saving lives, protecting property, and ensuring smooth, fast responses that will keep everyone as safe as possible. Rapid-deployment camera systems for natural disasters have a number of key benefits that make them well worth the investment for disaster relief teams, first responders, and anyone else who will find themselves on the ground or in the air immediately after a natural disaster. Rapid-deployment cameras can quickly track changing weather systems. Many natural disasters – tornadoes, hurricanes, fires and blizzards, among others – can change direction unpredictably. What was expected to land in one location can suddenly shift to another place entirely. An area that was thought to be safe can quickly find itself being pummeled by high winds, hail, flooding, and more. Rapid-deployment cameras can keep a closer watch on the immediate weather changes, making them ideal for natural disaster situations when no one is sure whether or not they are in the clear yet. Customize your solution depending on your needs. Do you need one camera in a key location, or are you better off with four? Will multiple pictures aid in clarity? You can also choose the type of camera that will work best for the disaster situation. Available options include an infrared camera, a standard camera with night mode for use no matter how dark the sky, and a panoramic camera that isn’t limited by what’s directly in front of the lens, allowing a wider view of the situation. By customizing your solution, you can ensure that you have all the important data you need streaming into your headquarters as soon as possible after the disaster begins. The sooner you have a clear picture, the sooner you can create a plan. Minutes matter in many natural disaster situations. You need a clear picture before you go in so that first responders don’t find themselves in dangerous situations in the effort to save lives. Clear images make it easier to develop a plan and ensure that teams go out with the equipment they need instead of having to come back for it, wasting valuable time. The sooner you have those images, the sooner you can develop those plans and get your team on the ground. Monitor relief efforts. The best-trained responders can still find themselves in trouble in a hurry, especially if situations change. Rapid-deployment camera systems can help monitor those relief efforts and allow you to send in more help and better equipment, change plans as needed, and check on what’s going on with the relief team over cellular lines even when other communication might be difficult. Following a natural disaster, needs can change in an instant. Having a camera on the relief efforts makes it easier for the command center to monitor the needs of the individuals on the ground and respond quickly to them. Map the terrain. 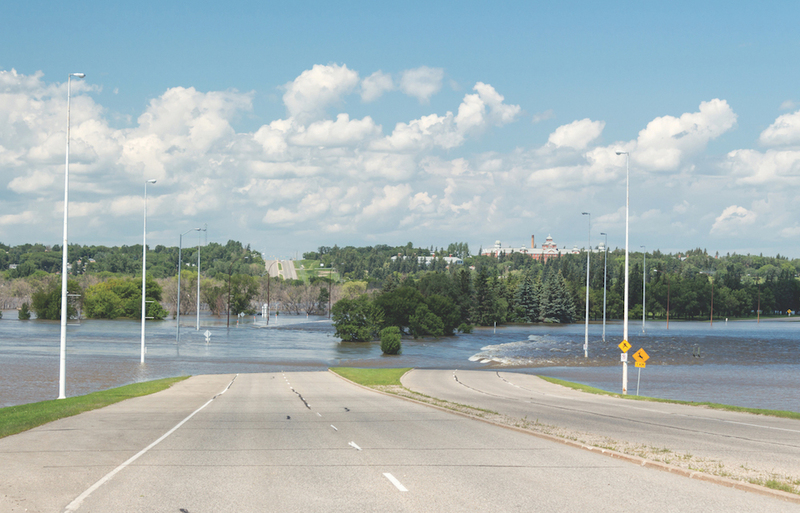 Terrain mapping can make a huge difference in many disaster situations, especially floods. From mudslides to areas that are prone to flash floods, it’s important to monitor and map these areas so that disaster relief efforts can be arranged appropriately around them. Terrain mapping can also ensure that relief centers aren’t set up in a danger zone, which would cause them to need to be moved rapidly or could potentially lead to greater loss of life or equipment. Cameras placed at a strategic point can get a good look at the terrain and enable professionals to find those danger points before they become a serious problem during the rescue efforts. Find victims and the paths to them. Cameras often pick up what the human eye cannot, from clear pictures of where victims are located to information about how to get to them safely. Deploying cameras enables responders to find the easiest path to victims, protecting their safety and keeping disaster victims out of areas where they could experience greater trauma while they’re being evacuated. Broad panoramic images can give a clear view of the entire area that can be analyzed back at the command center, while more narrow views can be focused to allow clarity before a team moves in. Put cameras where people can’t go (or can’t stay). In many cases, cameras can be placed in areas where people simply can’t travel. That means that data and images can be collected from areas that are otherwise impassable, allowing for greater information flow throughout the relief center. This information can be invaluable throughout rescue efforts, especially when it comes to mapping disaster relief paths or gathering other critical data in the first 72 hours after an event. Small spaces, areas full of radiation, or areas that might be too hot for humans are no problem for many camera systems. Today’s technology offers more options in disaster relief situations than ever before. Following a natural disaster, the first seventy-two hours are critical in ensuring that people get the care they need. Rapid-deployment camera systems can help responders react quickly during those critical hours, streaming information into headquarters at a rapid pace so that responders can learn more about the situation ahead and how to help the people who need it most. If you’re ready to invest in a rapid-deployment camera system that will aid your agency in the event of a natural disaster, contact us today to learn more about our FTS Remote Automated Observation System (RAOS) and how it can be deployed quickly.